The first Detroit Firemen’s Field Day was held at Navin Field (at Michigan & Trumbull) in 1922. The tradition has continued every year since, with the exception of 1933. It has been held in a variety of locations including: Briggs Stadium, University of Detroit, Tiger’s Stadium, Hart Plaza, Ford Field, and is currently held at Historic Fort Wayne. Those who attended Field Day would be treated to games, clowns, the Fire Department Band, exciting acts relating to firefighter skills, fire apparatus displays, dignitaries would attend, for many years there would be a raffle of 25 new cars (now replaced with a 50/50 raffle) and in years gone by the day would end with a fireworks display. 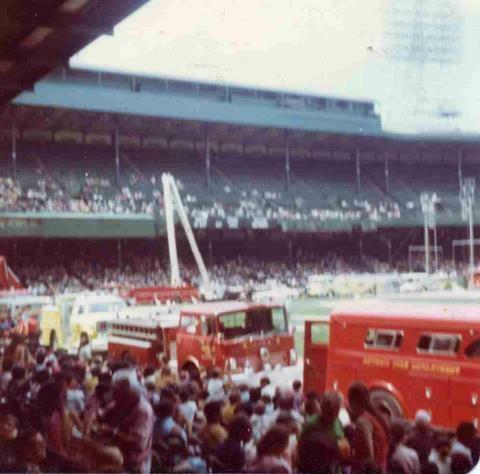 The Detroit Fire Clown team has it’s roots in Field Day. The Clown Team was officially formed in 1947 by Firefighter Larry Scarpace with seven firefighters to perform for the annual Field Day. Prior to that, clowns had been a part of Field Day, but not as an official team. The Clown Team continue to be a highlights of today’s Field Day activities. 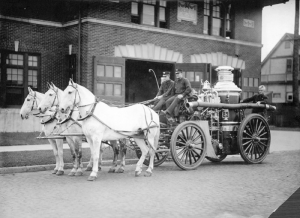 The last run of the Detroit Fire Horses took place down Woodward Avenue. More than 50,000 people gathered to witness the historic last run or Peter, Jim, Tom, Babe and Rusty, the horses of Engine 37’s steamer and hose wagons. They dashed down Woodward on a symbolic final emergency as a fake alarm sounded at the National Bank Building. Nostalgic spectators lined Woodward from Grand Circus Park to Cadillac Square, cheering while the fire department’s band played Auld Lang Syne. 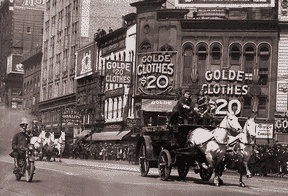 According to The Detroit News, many in the crowd cried as the horses passed. Preparing for the last running of the Detroit Fire Horses. Detroit Firemen’s Fund was organized to assist the widows and orphans of firefighters and to assist firefighters that have become disabled. It incorporated as a charitable organization on April 13th 1867. 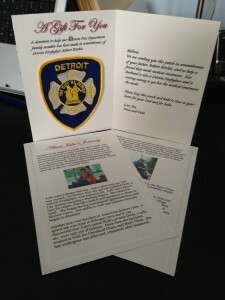 The Firemen’s Fund is still actively supporting Detroit Firefighters and their families. The Fund maintains burial plots at Elmwood and Mt. Elliott cemeteries to honor our fallen comrades. It has also established and maintains the Fallen Firefighters Memorial Rig, which is used to carry firefighters to their final resting places as well as for parades and fire musters. 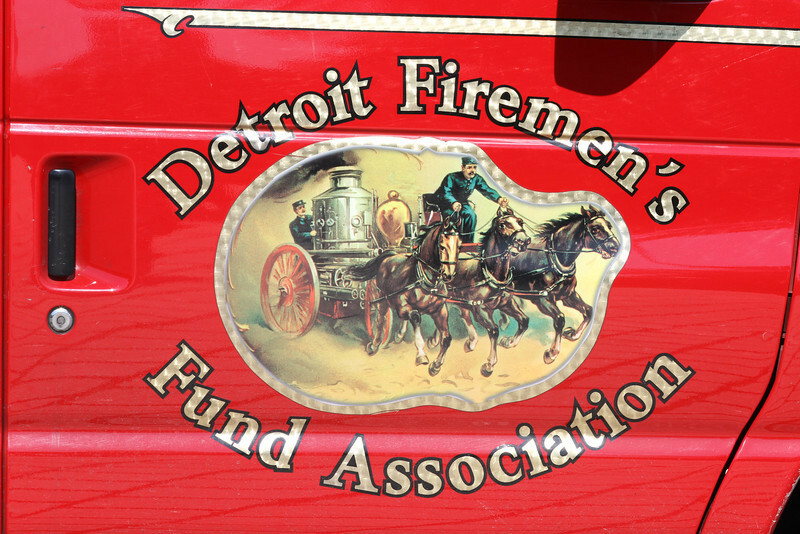 Each year the Detroit Firemen’s Fund holds events such as Firemen’s Field Day, Zoo Day at the Detroit Zoo and several fundraising raffles. The Fund also serves as the Official Department store, selling and assortment of shirts including official duty shirts, patches, hats and more. 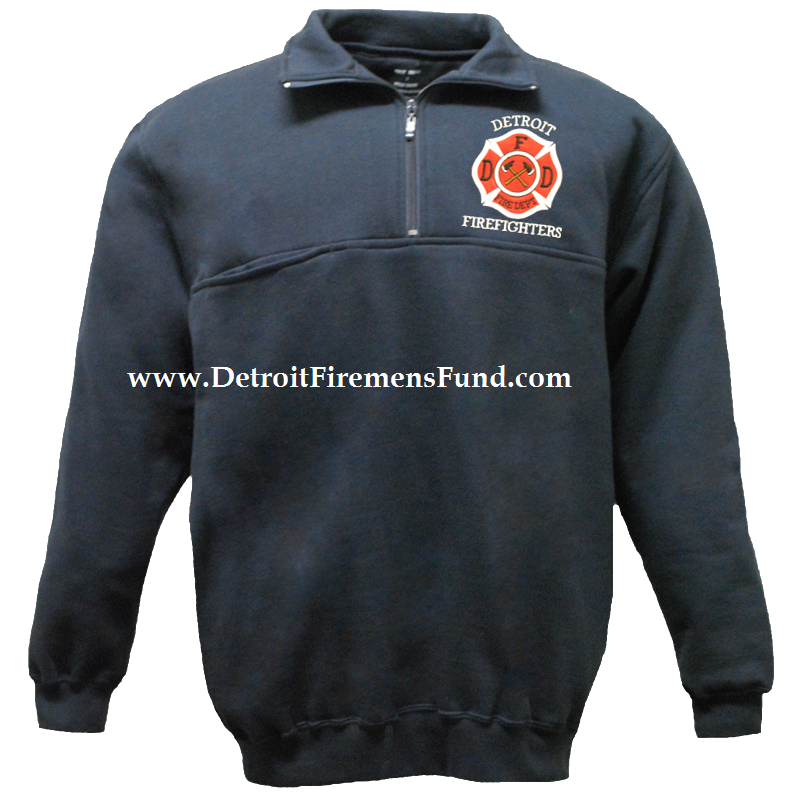 Proceeds from the sale of items help the Firemen’s Fund continue to help Detroit Firefighters, their families and our community. 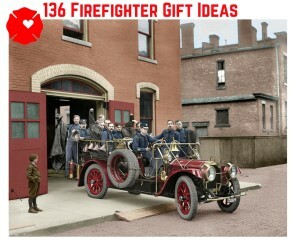 Check out their website www.detroitfiremensfund.com. In Detroit fire stations 24 hour clocks hang near the watch desk. They look similar to the ones in elementary school classrooms. 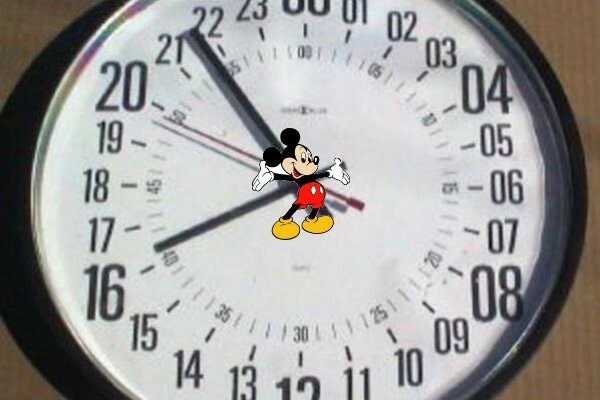 Remember how the school clocks would taunt us, ticking slower and slower as it got closer to recess time? Such good memories. These clocks make me particularly nostalgic when it’s time to “fall back” an hour. Detroit becomes the first fire department in the nation to be fully equipped with mobile radios. 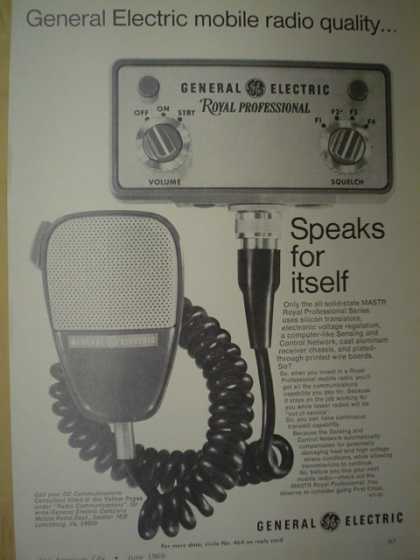 The last units to receive radios were E-48 and E-60. 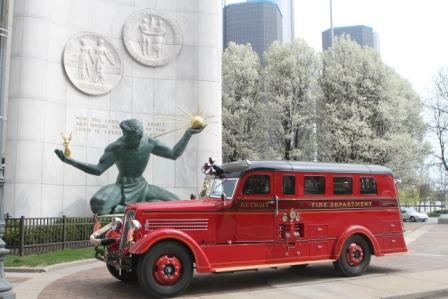 Although I don’t know the brand of radio’s Detroit Fire Department used in 1952, they would have looked something like this. The buddy relief system was approved by the Board of Commissioners. It went into effect February 15, 1952. Buddy relief is a system created to avoid firefighters being detained at a scene later than 08:00 am shift change. Out of courtesy, incoming personnel relieve outgoing firefighters between 06:30 and 07:15. The official start of shift is 08:00 am, but with buddy relief, if a run comes in just before 08:00 incoming personnel respond. Those firefighters ending their shifts are already relieved and free to go. Get new posts sent directly to you. 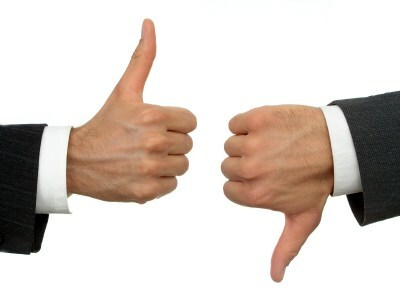 Is Being a Jake Good or Bad? Detroit Fire Department’s first ambulance went into service at Second and Burroughs, Engine 17’s quarters. This was only the second such unit in the United States. The ambulance was a gift to the department from Paxton Mendelssohn, a fire buff that later became a member of the Board of Fire Commissioners, in memory of his mother, Lydia. The ambulance also served as the department’s Coffee Wagon. Mendelssohn also donated the departments second ambulance in 1937, once again in memory of Lydia. 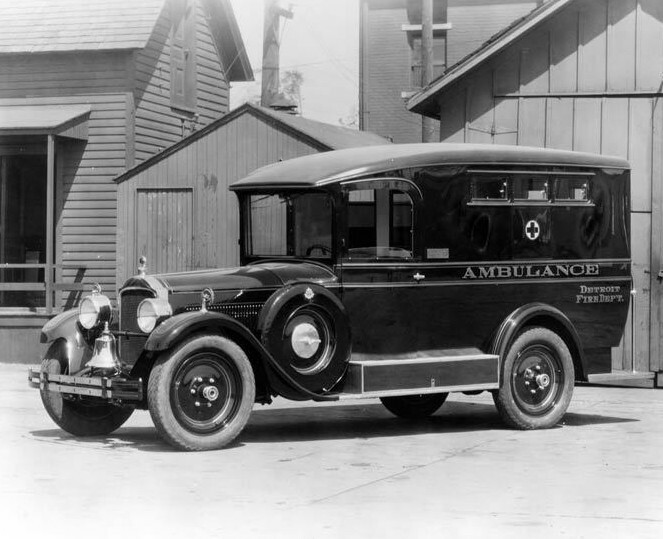 This ambulance was custom built on a Cadillac chassis by the Meteor Motor Company of Piqua, OH. In 1951 it was completely rebuilt and modernized, once again as a gift from Paxton. 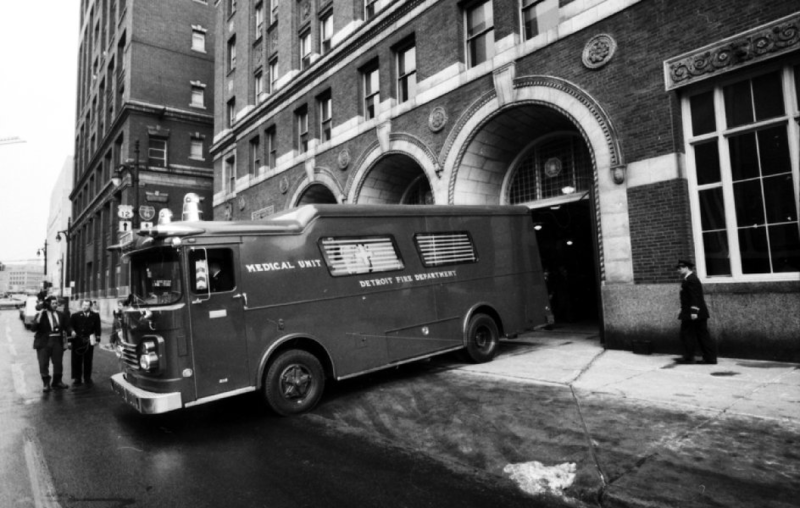 1969 rolled around and once again Paxton donates a brand new modern Medical Unit to the department. As always, it was donated in memory of his mother. The Detroit Fire Department Band was organized by Captain Anthony Delesie, Glenn Middleditch, Otto Klatt (all of Rescue 1), and a fourth unidentified man from another fire company. Their first public appearance was marching in the Armistice Day Parade. By 1926 the band had grown to 44 men. These are the words of Vicki Salagan. Vicki and Dave made a donation to Julie’s Journey and in exchange DFDLegacy sent a Detroit Fire Department patch as a gift to her friend Melissa. Melissa’s father, Robert Ritchie, was a Detroit Firefighter. He passed away when she was just a baby. Silly Tradition or Are We Bonding? Get a group of Detroit Firefighters together in a social setting and sooner or later someone starts it. 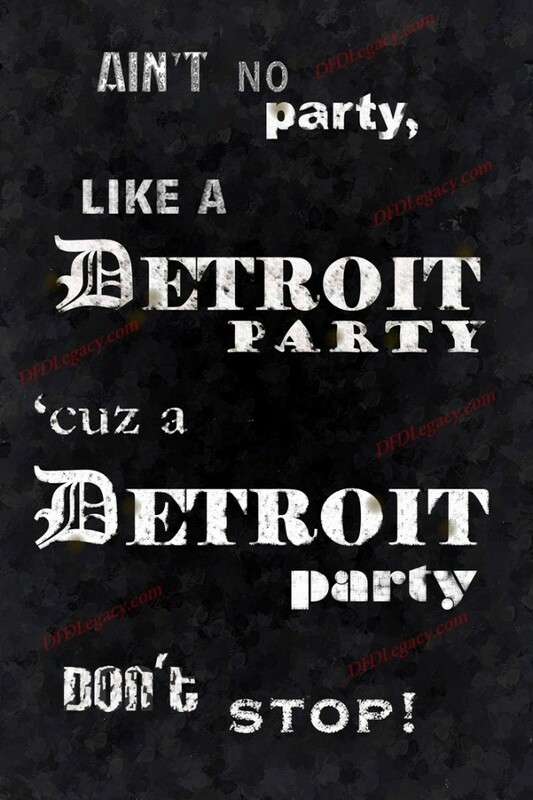 “Ain’t no party like a Detroit party, ‘cuz a Detroit party don’t stop! HUH!”.